An area for people to post information about upcoming events that might be of interest to WoodTurners. 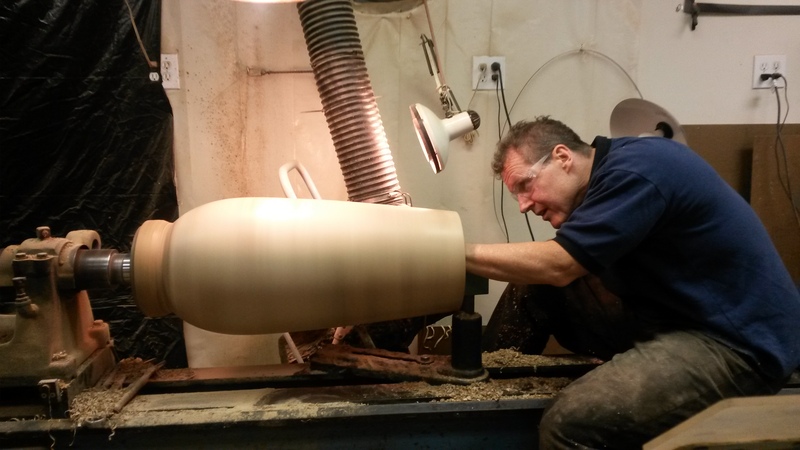 Chris Boerner is excited to demonstrate Hawaiian-Style Turning for our May 12 club meeting, which is a subject near and dear to his heart. He will share some of the knowledge and skills he garnered from 10 years of living and turning in Hawai'i. As he teaches, Chris will also enlighten his audience with the Hawaiian woodturning culture as well as share fascinating personal stories. Hawaiian shapes, proportions and turning methods used to create the traditional Hawaiian Calabash. Chris will turn a variety of these universal shapes, including the round-bottom style used for most calabashes, which can also be used by any turner in a wide-variety of ways to help refine his or her work. Proper turning techniques, tool choice and usage, and safety considerations for any woodturning situation. Hawaiian-style pieces from notable Hawaiian turners, which will illustrates the long and rich Hawaiian woodturning tradition that has existed for over 100 years. Traditional crack-repair methods of using butterfly-style patches also referred to as “Pewas,” which restore important bowls which can add value to the piece. Fun woodturning projects to turn such as, poi pounders, which are still made and sold in Hawai’i today. Interesting Hawaiian woods, such as Koa, Milo, Kou, Mango and others unique to Hawai’i. Chris’ demo will provide valuable and intriguing information for turners at any skill level as well as present an interesting look into the unique world and long history of Hawaiian woodturning.